A keen green thumb who needs a garden shed in your backyard? 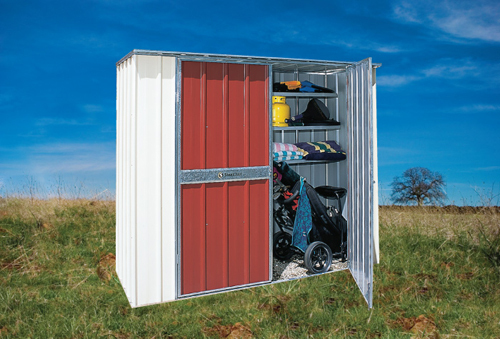 At Designer Pergolas and Carports, we sell a huge range of garden sheds. 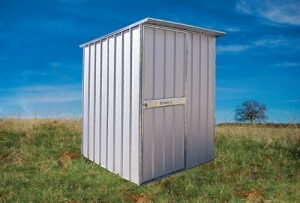 A very versatile shed which can range from a small garden shed to larger in size. 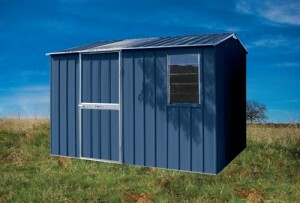 With a skillion roof line design, this shed can tuck nicely at the side of your house or fence. Do small garden sheds interest you? Our entry point model, this simple shape is ideal if space is an issue in your backyard. 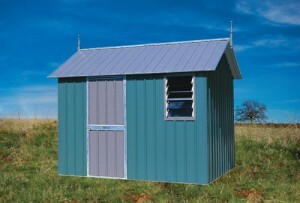 This attractive design features 'old world' shed angles and is a classic, attractive design. All of our steel garden sheds are supplied as pre-assembled in panels, ready to be erected on site. 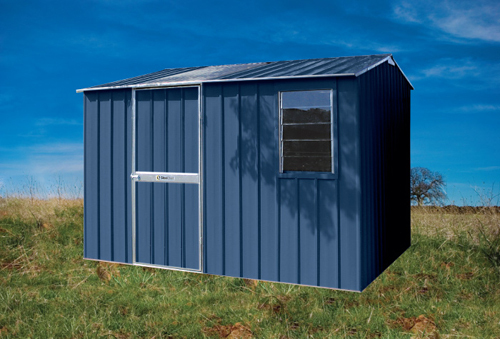 We also sell Geelong, Werribee and Hoppers Crossing steel frame sheds, as well as other shed options such as wood boxes and pump houses.